LEO Pharma anouances collaboration with Washington University (Kim Lab) to enhance understanding of atopic dermatitis. 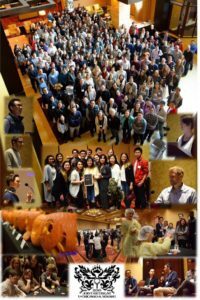 The Doris Duke Clinical Scientist Development Award provides grants to junior physician scientists to facilitate their transition to independent clinical research careers. The skin barrier is essential for host defense, but how the skin provides protection when the barrier is breached is not well understood. In this issue of Immunity, Gallo and colleagues report that keratinocytes integrate signals from antimicrobial peptides via MAVS signaling to amplify their antiviral immune response. Basophils have become increasingly recognized as important innate immune cells that mediate antihelminth immunity and barrier inflammation. Recent discoveries have uncovered previously unrecognized heterogeneity in basophil populations. However, how diversity in basophil regulation and function impacts human disease remains poorly defined. The goal of the present review is to highlight how new insights into basophil heterogeneity can help us to better understand disease pathogenesis and inform the development of new therapeutics.